Our dolphins need our help! 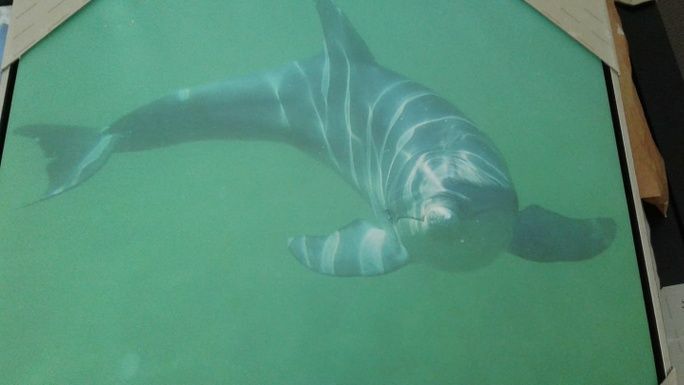 Mandurah is a dolphin stranding hotspot! Almost a third of all our resident dolphins have stranded in our waterways, some many times over. Unfortunately not all survive and if they do they suffer severe stress and sunburn. We know where the main stranding hotspots are. Unfortunately they are remote and away from anyone's view. So dolphins often have to wait for high tide, some not surviving. If dolphins die by stranding this has significant impacts on the entire population. For example if we loose a breeding female who gives birth every 3 years imagine how many dolphins will not be born due to her death. Along with Department of Biodiversity, Conservation, and Attractions ( DBCA) we will install monitoring cameras so DBCA (parks and wildlife) officers and the rescue group can have live streamed viewing to see any stranded animals, allowing a fast response and rescue. We are currently fundraising to increase the number of cameras to be installed as our waterways are so vast. The more cameras the more dolphins can be saved. Unfortunately each camera costs approximately $10,000 and we have many stranding hotspots to cover. The first camera - will be funded by DBCA! Thankyou. The fourth camera **is the community's camera** - Already partly funded if you would like to be part of this exciting project every dollar will help make it a reality. This is where you can help save our dolphins. This amount has been added to our running total above. Thank you so much to Rotary Club of Mandurah ! Can we do this? YES! Cheque made out to Peel Preservation Group PO Box 1784, Mandurah WA 6210. Please include your name and address for receipt purposes and that it is a donation to be used for dolphin monitoring cameras. Together with DBCA we will have live streaming monitoring cameras installed at remote dolphin stranding hotspots so fast rescues can be achieved. 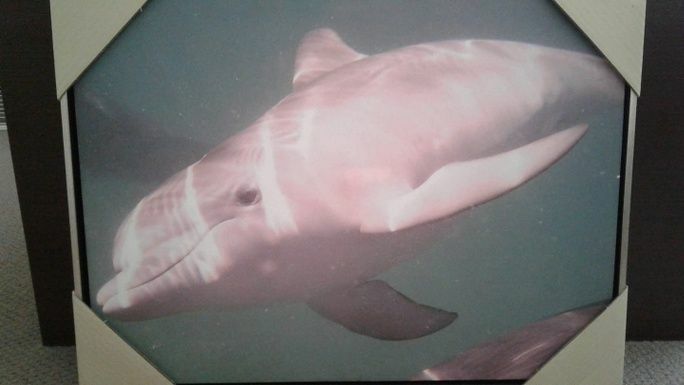 We have been lucky enough to have been donated several gorgeous prints of dolphins for our fundraising including this beautiful under the water shot of a very cute calf. Delivery within mandurah included. Sorry no postage to other areas. So if you are quick not only will you be helping save a dolphin but you will also receive a gorgeous dolphin canvas as well! We have had some lovely prints donated for our cause. This is a striking framed green print of a dolphin underwater. We can deliver it to you within mandurah. 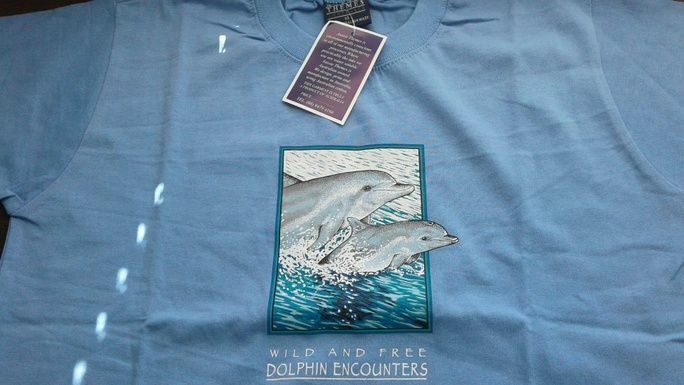 We have had 6 cute dolphin tshirts donated which will fit ladies size 8 and 10 (or a teenager) to help with fundraising at $25 each which we can deliver in mandurah. If postage is required please donate an extra $5 separately to help us pay for mailing costs. So not only will you be helping save a dolphin but will also receive a cute tshirt to wear or gift! 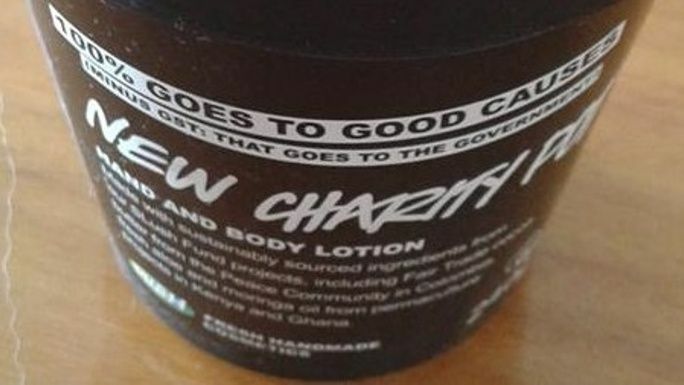 Lush have been amazing sponsors of dolphin rescue and we were featured on their charity pot which contains amazing hand and body lotion inside. We have one available that features mandurah dolphins on the lid for a special memory. We can deliver in mandurah. If postage is required please donate a separate $5 for mailing costs So not only will you be helping save the dolphins but also receive a lovely hand/body lotion as a special treat or gift for your donation. Lush items are amazing just wish we had a Lush store here! 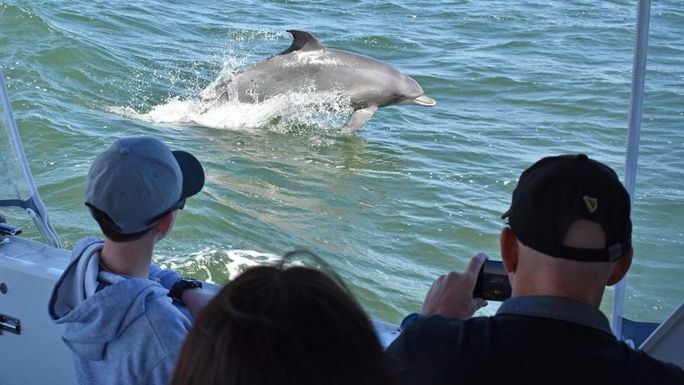 As part of your generous $65 donation you will receive two adult tickets worth $64 on Mandurah Cruises one hour dolphin and scenic canal cruises. Lately the cruises have been seeing the little newborn calves quite regularly. So not only you will be helping save the dolphins with your donation but also going out to see them as well! Special thanks to Mandurah Cruises for donating the tickets! As we are all about raising money for the monitoring cameras to save the dolphins we thought this would be fun as a one time opportunity. A unique gift, memory or just a fun thing to do. Of course people can just give names to the dolphins themselves anytime! But this way you will be really helping save the dolphins with your large donation but also be able to choose a name we will use permanently as well. Like owning/gifting a star! Amazing right! * $7,424 in offline donations included in total.